We quickly forget how American Airlines has landed us at Miami International as soon as we step out of the airport to search for a taxi that is large enough to fit four people with six suitcases. – “May you take us to the Fontainebleau hotel?” we cheerfully chirp to the driver. We’re lucky we’re visiting it in September when it’s ‘just’ hot. Thanks to a pre-scheduled trip, we will be spending three nights in one of the most iconic and luxurious hotels on Miami’s South Beach only for a couple of hundred dollars (bear in mind that this was in 2007). As soon as we exit the taxi, a bellman greets us merrily and starts loading the luggage cart with our belongings, while we are still admiring the beautiful building we are about to enter. 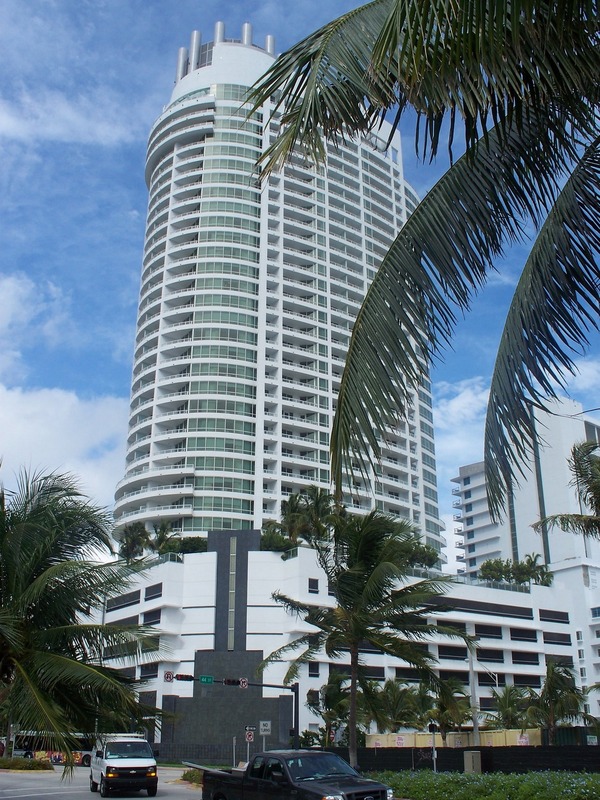 Fontainebleau Hotel at Miami’s South Beach is an absolute marvel of engineering. “Guys, have you been to the Fontainebleau before?” the bellman asks us with the largest of smiles. “No, we have not had the pleasure to visit it yet,” I answer. “Oh, you’re really going to fall in love with it!” he assures us confidently. *Warning: Before you continue reading, I have to warn you that Miami is a heaven for travel photography. Therefore, pick your best camera and go nuts! And aren’t we stupefied! We enter into an enormous apartment with a terrace, overlooking both the Bay and the Atlantic Ocean. While we are still trying to comprehend the sumptuousness, the sheer size of the room, and the splendid view, the bellman shoots a quick “Have a great stay!” and leaves us. In the afternoon, we set off to explore the area around South Beach, Miami. Enormous yachts adorn the bay. Large boulevards criss-cross the area. There is lush greenery and the streets are lined with palm trees. One of the many yachts around the bay. The only thing that reminds you that you are not (exactly) in heaven is the almost intolerable humidity, which does not change even at night, especially for travellers who are used to dry heat. Tired of the flight and the hot weather, we decide to succumb to the temptation of the hotel’s sky pool, situated on the 9th floor. The sky pool on the 9th floor where we slowly sipped cocktails. We order refreshing drinks, get some towels and for the rest of the day, we lie cosily on the chaise longues. 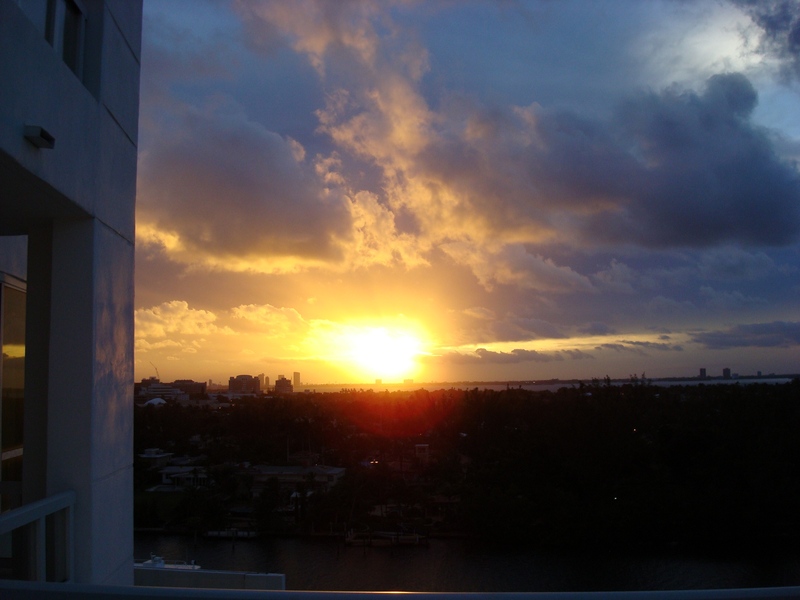 The first evening bestows us with a wonderful sunset, which we admire from the balcony. Sunset from the hotel’s balcony. Just at the tip of the ocean, early next morning, we head to the beach before the sun has become sizzling. 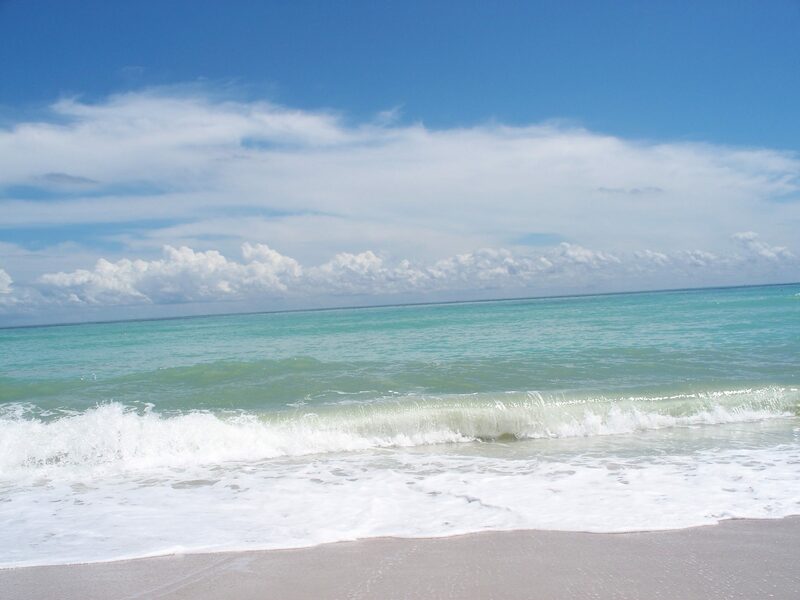 Although the beach is excellent, the water is as hot as a tea and, on top of that, the ocean bottom is quite rocky. After a few dips in the water, we grow tired and opt out for a nap. I warn my friend – Tsvetan – that we could easily fall asleep. And, of course, we do. In an hour or so, I wake up, because my skin aches. Congratulations to the winners – we are officially sunburnt in Miami – ouch! Friendly advice: don’t fall asleep at any time on the beach even if you have put sunscreen on (its protection is not powerful enough after an hour under the scorching sun). At least, the boardwalk next to the beach is quite the stroll. In the afternoon, we set out to further explore South Beach. Where the endless sky unpretentiously flirts with the infinite ocean. 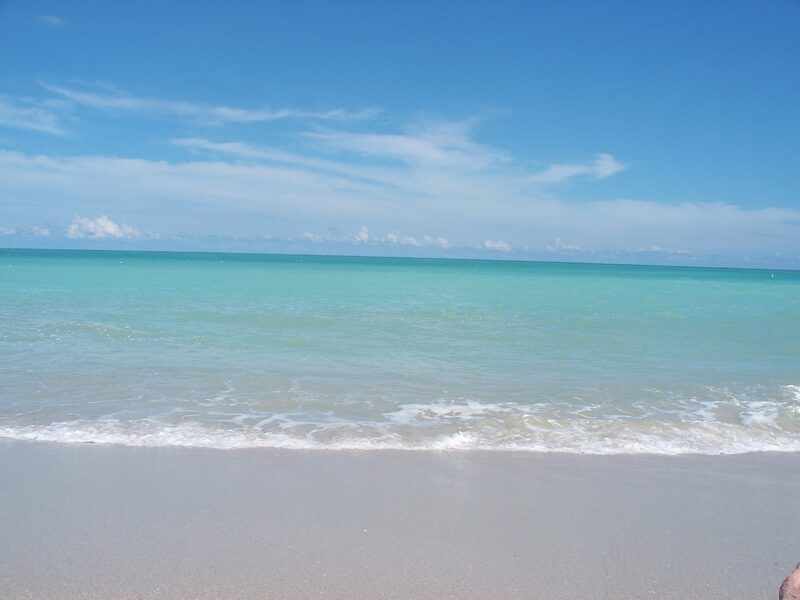 The azure ocean at Miami’s South Beach was amazingly warm but somewhat rocky. Isn’t this boardwalk just dazzling? In the evening, we head downtown. With the sun setting down, road traffic has begun to intensify and a lady putting her make-up in her car, while waiting at traffic lights, is a regular sight. On a serious note, traffic in Miami can get quite crazy, and in the unfortunate case you get injured in an accident, I recommend talking to an FL car accident lawyer to seek full compensation. While downtown, we learn that the yacht docks are a must-visit, so this is our next stop. As we get around the docks and marvel at the fabulous boats parked there, we take some night shots and decide to indulge in a couple of (virgin) cocktails while watching a live performance by a Spanish-singing band. The last day is quite hectic as we’ve scheduled a boat & bus tour of the Sunshine City, and we have a plane to catch in the evening. 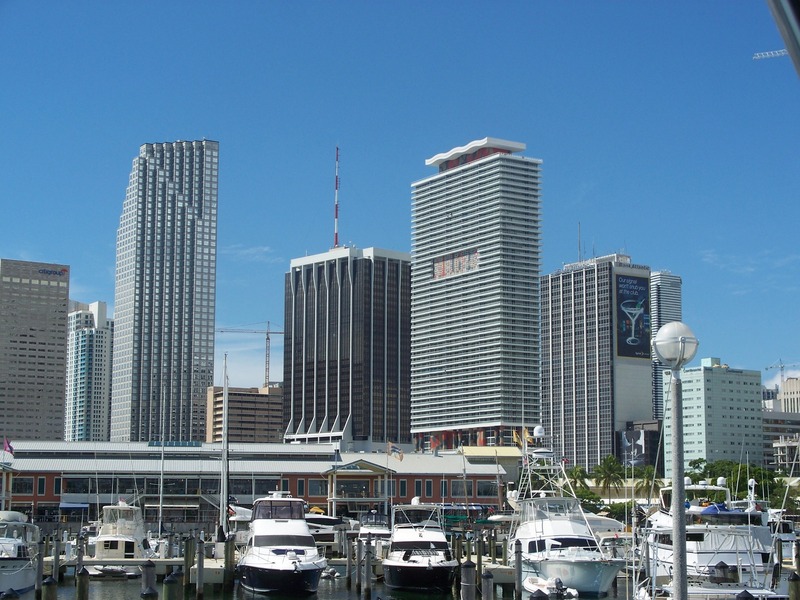 The boat trip starts from downtown and passes by high-rise residential buildings overlooking Biscayne Bay, Miami. The captain, who also provides the passengers with interesting facts about the things we travel around, informs us that the rents and costs of an apartment in those buildings are very expensive. No wonder why. Soon after that, we reach the port of Miami. 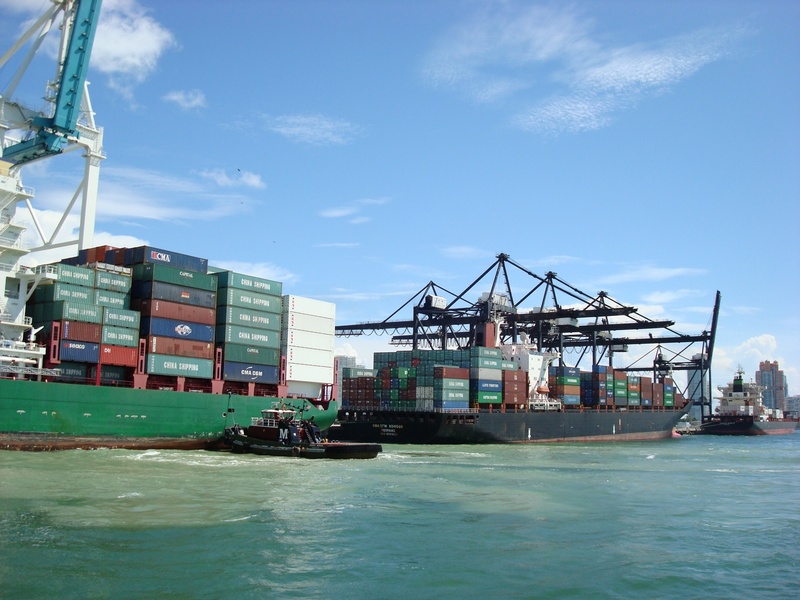 It is one of the largest cargo ports in the United States and number one passenger port worldwide. Thus, two of its monikers are the “Cargo Gateway of the Americas” and the “Cruise Capital of the World”. 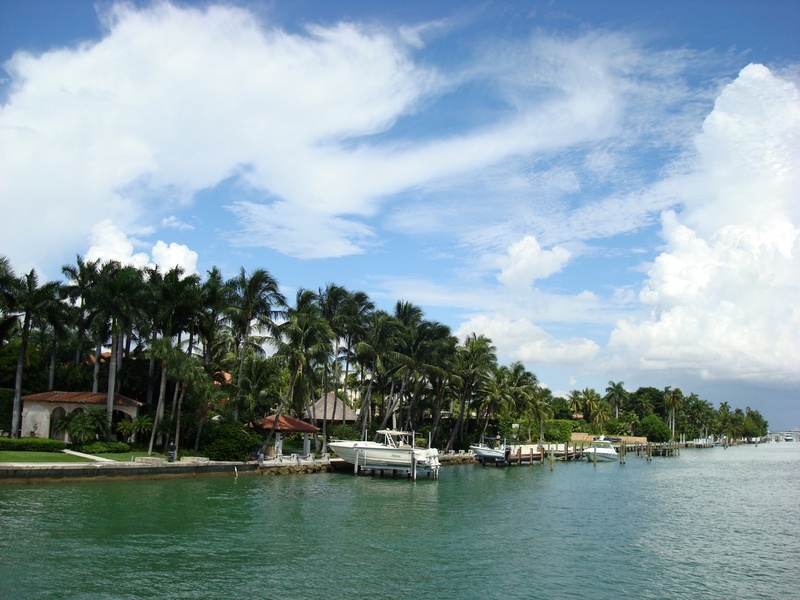 Immediately after Dodge Island, where the port of Miami is located, we pass by Fisher Island. The island is a census-designated place which is accessible only by a private boat or a ferry – there are no roads or causeways connecting the island to other islands or to the mainland. The tour continues around the man-made Star Island. 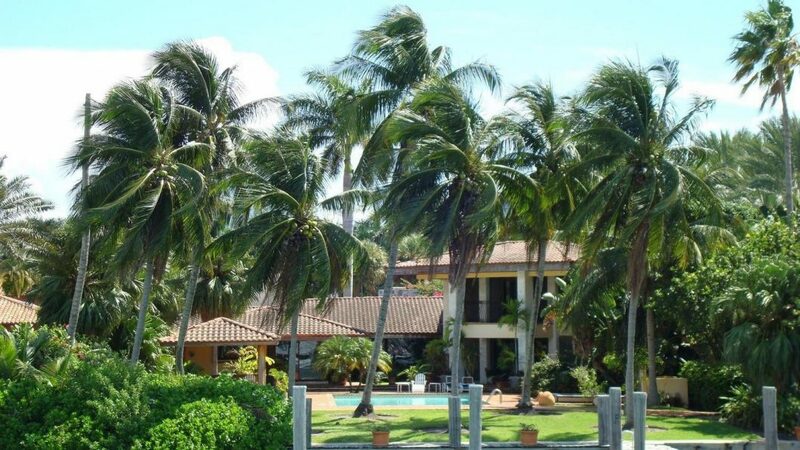 “Many celebrities, such as Gloria Estefan, Sean Combs, Vanilla Ice, and Shaquille O’Neal, own or have owned homes on the island,” the captain tells us. One of the houses on the island is worth more than $50 million. The boat meanders between Palm and Hibiscus Islands and gets us back to downtown Miami. 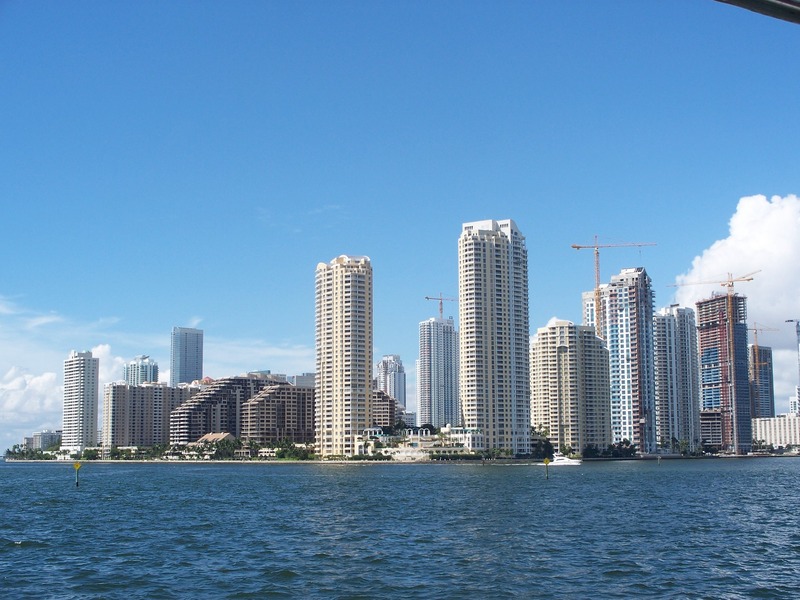 Highrise buildings overlooking Miami’s Biscayne Bay. Port of Miami – the largest U.S. port on the East Side. 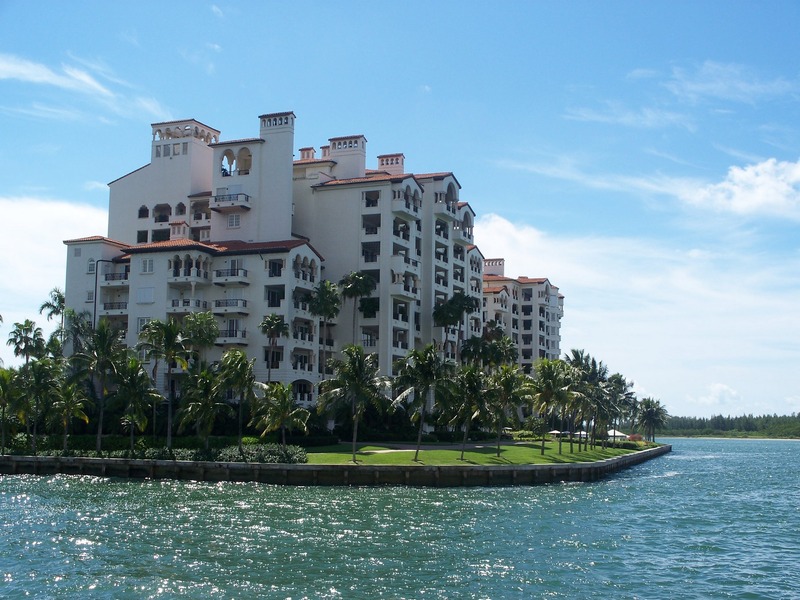 Fisher Island – only accessible by boats. Meandering around one of the many luxurious villas on Star Island. 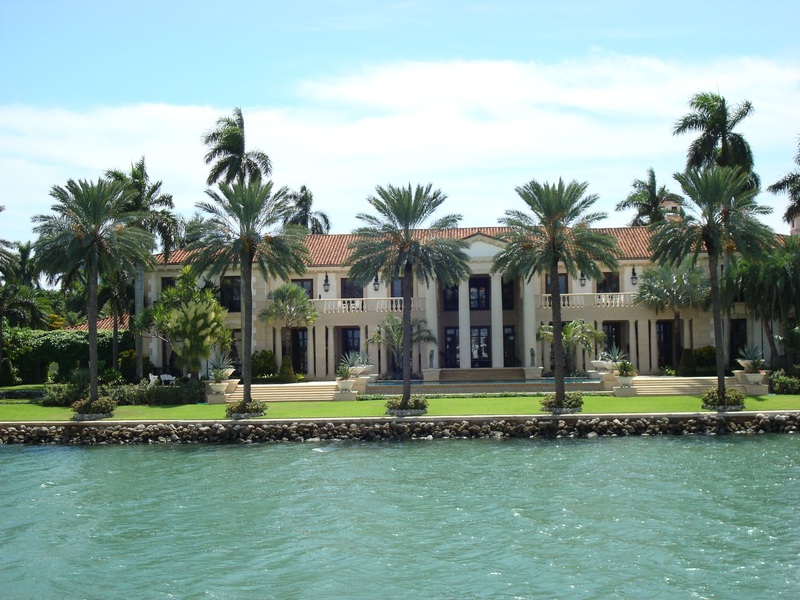 According to the captain, this house is worth $50 million. After the boat adventure, it is time for the bus tour. It takes us around downtown and continues to Coconut Grove – the oldest incessantly inhabited Miami neighbourhood. It is extremely green, clean, and quiet. In Coconut Grove is the Charlotte Jane Memorial Park Cemetery, whose previous name was Coconut Grove Bahamian Cemetery. 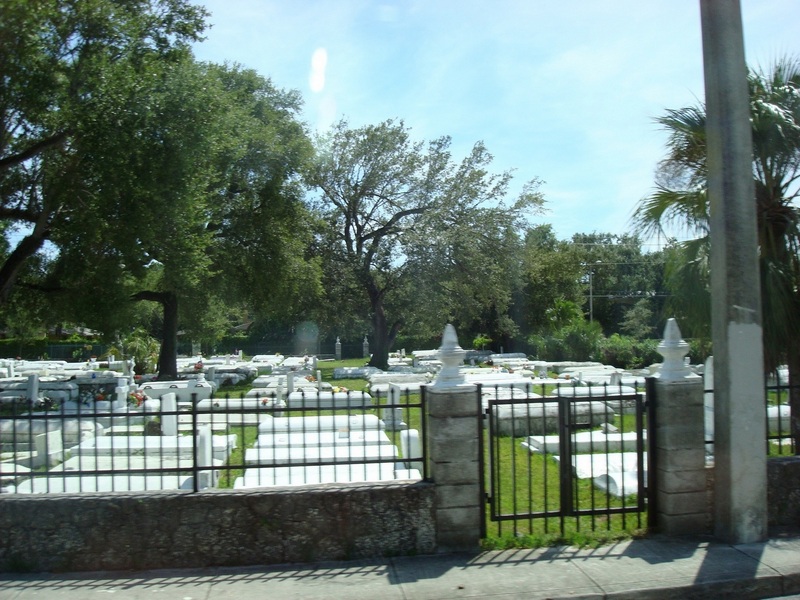 It is a cemetery with a historical significance where the early Bahamian settlers were buried. The guide also tells us a curious fact – it is the cemetery where Michael Jackson shot his “Thriller” video. 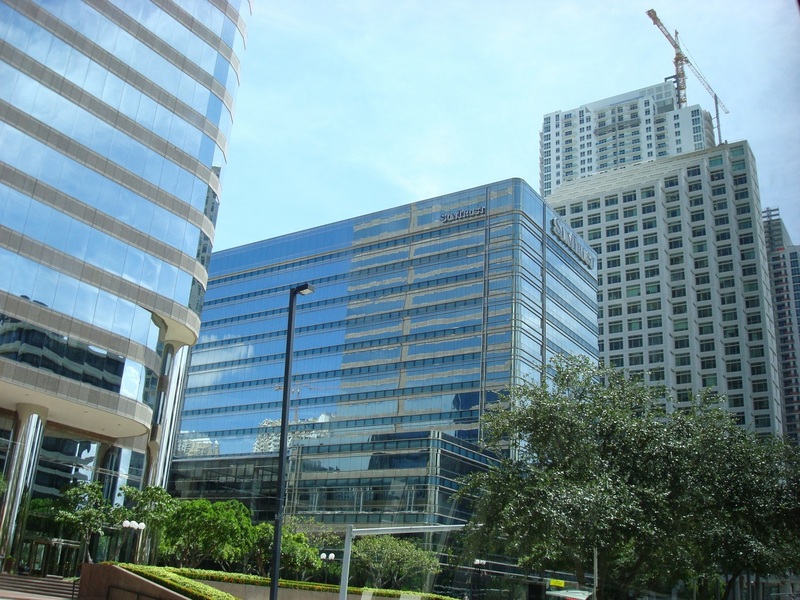 Miami Downtown – bus tour around the area. 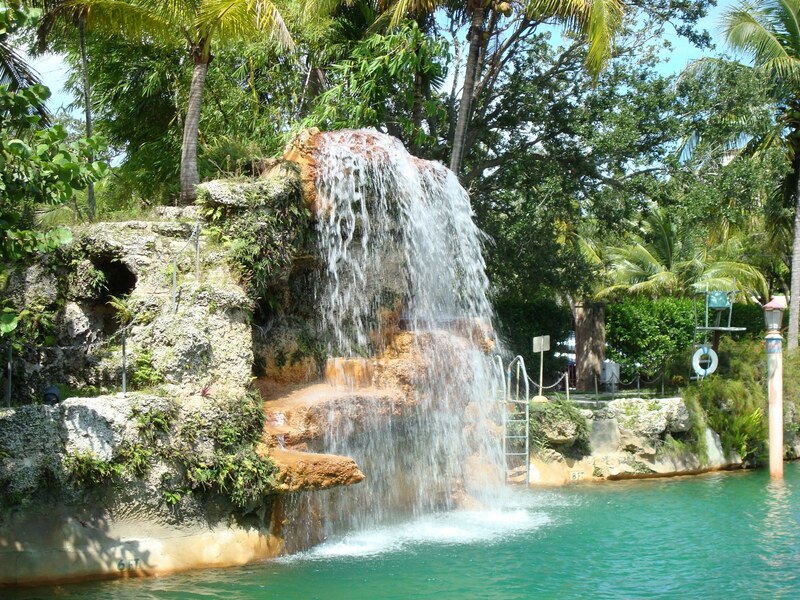 After Coconut Grove’s sumptuous greenery, the bus takes us to Coral Gables where we stop at Coral Gables Biltmore Hotel. It is a fabulous hotel very well-known for serving as a hospital during World War II, as a Veteran’s Administration hospital, and as a campus of the University of Miami’ School of Medicine up until 1968. Next stop is the Coral Gables Venetian Pool – a pool that “recalls design features from the Venetian Lagoon in Italy”. Known as the “Venetian Casino” and opened in 1924, the Venetian Pool was designed and built in an old coral rock quarry. Artesian wells displace some 820,000 U.S. gallons (3,100 m3) of fresh water on a daily basis, which makes it the largest freshwater pool in the U.S.A. 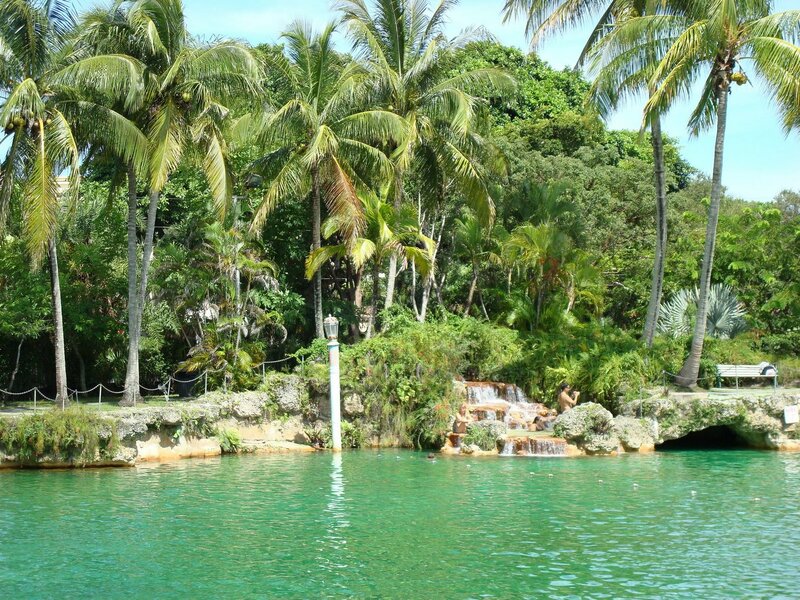 The Venetian Pool features an island, a grotto, and two waterfalls. 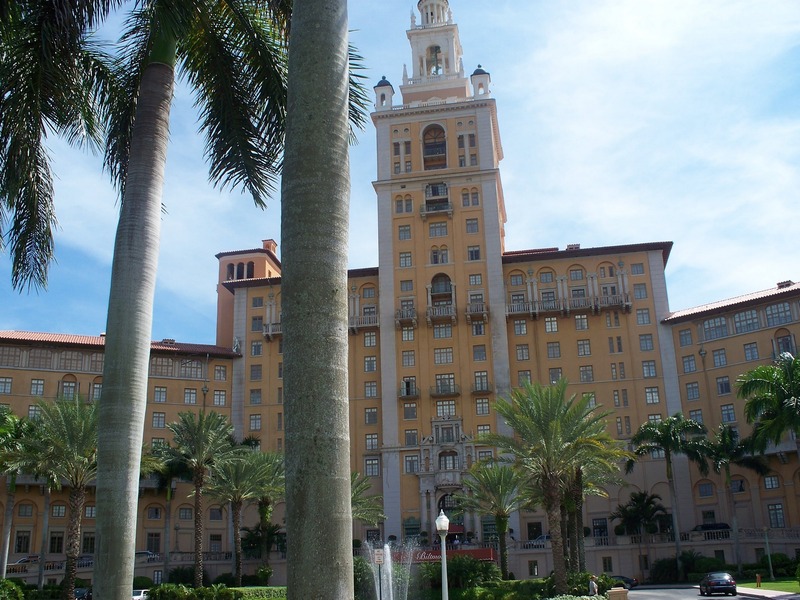 Coral Gables, Biltmore Hotel, Miami – served as a hospital during World War II. The waterfall is just stupendous, isn’t it? 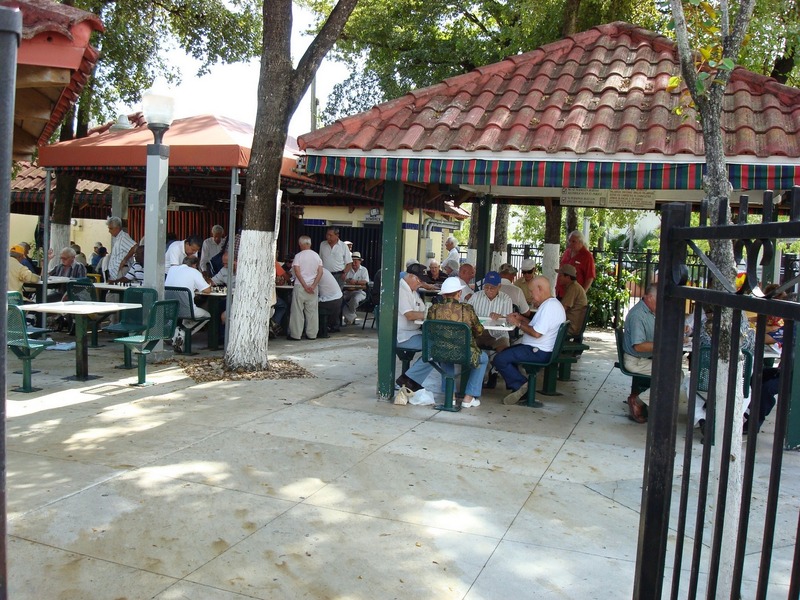 “Little Cuba” is one of Miami’s nicknames. Hence, our last stop is the Cuban district of Miami where ‘local’ people are peacefully playing domino. In the Cuban district, you can purchase Dominican cigars. Back in 2007, Cuban goods were still under embargo, but due to the recent rapprochement of U.S.-Cuban relations, who knows – probably Cuban cigars will also be sold soon. Playing domino in the Cuban district of Miami. And as a conclusion, I have enlisted some helpful tips for those who aspire to visit Miami. When to visit: The whole Sunshine State is in the hurricane belt. Therefore, between the beginning of June and the end of November, there is a risk of hurricanes and tropical storms in Miami. We were there in the middle of September and did not experience any, but it is highly advisable to purchase travel insurance that will cover you (and your travel companions) in the unhappy event of a hurricane. Weather: Miami’s location is in the subtropics, which means it is warm all year-round. Even on cloudy days, it is highly recommended to wear a hat and have a high PSF sunblock (we did not and ended up sunburnt and aching until we found some Aloe Vera gel that soothed the pain to a great extent). In the summer months, the humidity reaches excruciating levels and June is probably the worst month as it receives the most rainfall. 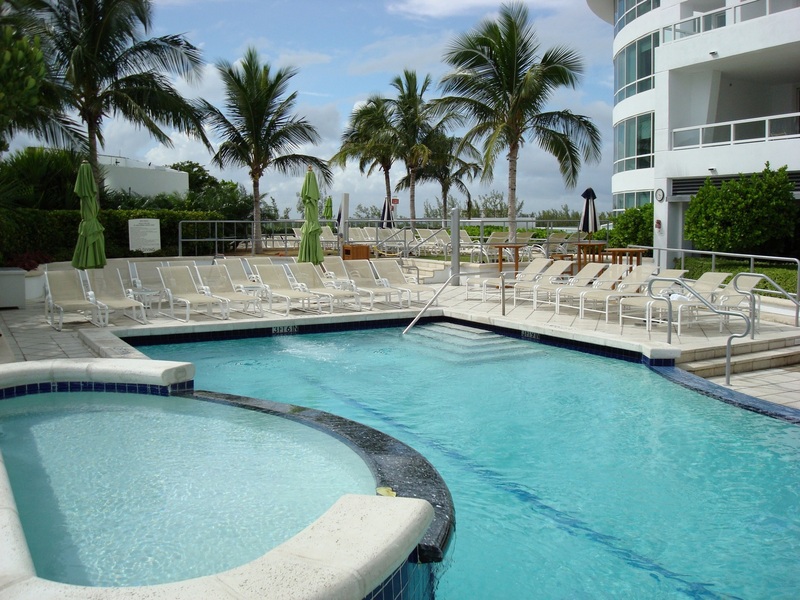 When to save and book: As I mentioned, we were visiting Miami in September and we have booked the hotel and flights at least two months in advance. Therefore, if you want to have a quiet and reasonable visit of the “Magic City”, go for the low-season months (June to September). Since we have already crossed out June, that gives you July to September. If you are a party animal, go for the high season – from January to April. Here’s an article to show you how to find cheap flights to Miami. If paradise existed, Miami would probably be one of its suburbs. Bon voyage! *Disclaimer: This article has a sponsored link. Nonetheless, all opinions are my own. Have you been to the Sunshine City? Did you party hard under the scorching heat? Great pictures looks excellent. When ever i see pictures of Miami area i always think of Miami Vice. it was my favourite show in the 80’s you just need a picture of Don johnson in a ferreri lol. I’m a sucker for a stunning sunset and a pretty beach – that sea looks amazing so you had me at the start. 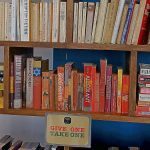 By the time I got to the end of the post I was sold – on a destination I would never have considered. Great job! Hehe, Jo, aren’t you a flatterer! Thanks, and I am happy that I made you feel that way. It is, surely, a stupefying place to visit! Cheers! So unfair- all these beautiful photos are making me incredibly jealous! STOP IT! Great photos, that ocean! oh my! Thanks! The Atlantic is so emeraldy green. Virgin cocktail! What a way to name a drink hehehheh… Love your photos especially the sunset its stunning and always set the mood for a romantic night. Love it! Well, some of us were 20 at the time and were not allowed to indulge into binge drinking, hehe. Thanks, yeah, the sunsets were calling for a pinch of romanticism. Looks like you had fun-filled day in Miami. I’ve only seen it in movies and tv series, I figured the weather there is humid. It was interesting to learn that that’s where the Thriller video was shot. I’m not great with the heat so think I’d be pretty much living in that sky pool, looks heavenly! And anywhere lined with palm trees gets my vote. We did this same 4-day 3-night tour of Miami and South Beachb in 2010! What a trip. Ah, very nice to hear. Did you do it with Expedia? 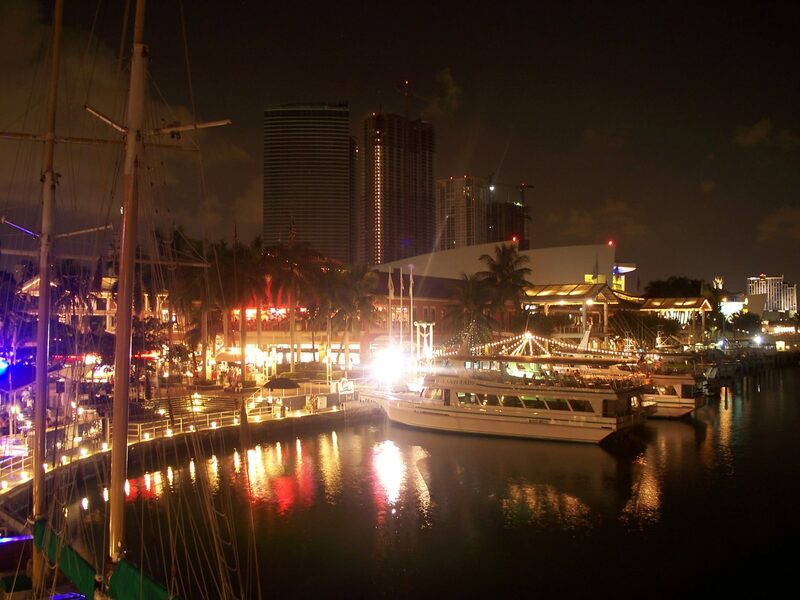 Miami looks so amazing the night photography is beautiful. Thanks for the great tips. 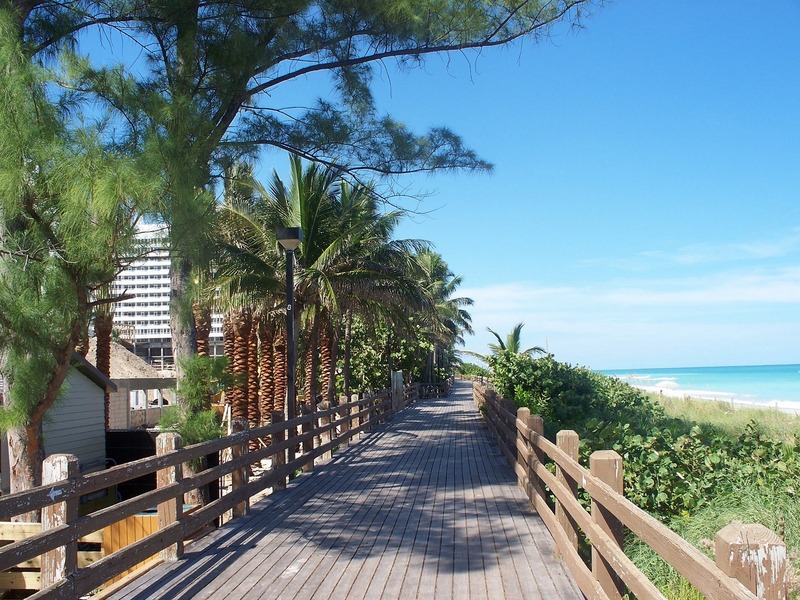 We love boardwalks along the beach and the one you captured here is no exception! The bright blue hue of the water against the sand and palm tress is simply stunning. Looks like a great trip. Thanks! Indeed, it was a a great trip with drop-dead gorgeous views and ambiance! Sunny Miami indeed! I l love that fisherman island, very ironic to how it is named 😀 This place seems to be so luxurious though, was it expensive? Hehe, great to hear! It’s amazing there! I’m not sure my British skin could handle the Miami heat….even the ‘hot’ season would be too unbearably hot for me! Looks like a great trip you had though! Those nightviews are lovely 🙂 and it seem like so many big houses and boats over there! Thanks! The houses and boats on Star Island are indeed gigantic. My husband visited Miami last year and loved it. I think I’d love it too, especially because I love beaches. I hope to visit next year. Yeah, beaches there are great, but the ocean bottom near the hotel was rocky. Bear that in mind and probably inquire in advance. In another life my wife had been to Miami, and as beautiful a picture as you paint, I won’t ever get there because of my wife’s very negative opinion. That’s just the way it goes. Hm, well, that’s a pity – it is gorgeous! Why she has a negative opinion of it? I’ve been to Florida dozens of times but never made it as far south as Miami. The view looks awesome! Miami looks incredible- the size of some of those yachts, Jeeeeeeezeeee. Haha, yeah, the size of these yachts was indeed enormous! After watching Dexter I always wanted to visit Miami, we have been to Florida before so we know all about that heat!! It is a great city. An interesting fact is that Spanish is prevalent there. Gorgeous scenery. Look at that nice baby blue sky 🙂 I look out my window now and it is grey, dreary, and cold 🙁 I would love to cannon ball into that sky pool and slip a cocktail too! Wow, beautiful pictures! This is on my wishlist. Looks like a place I could fall for. Thanks for this post! I gather that the city is way more welcoming than its airport. I fly in and out of Miami all the time as I use American Airlines for most of my travels to Central and South America and the really rude security officers have put me off from visiting. Perhaps next time I should plan to have a long layover! Hehe, oh, well, I guess it happens with big airports. The city is really beautiful! Wow! This place looks awesome! I wanna be there too, right now! Wow, you have incredible information here! First the Fontainebleau looks like the perfect hotel for that area, especially with the larger than expected rooms. Then I never thought about where Thriller was filmed, I guess I thought it was in a studio so that’s interesting it was done in Miami. And your photo’s are fab! Beautiful hotel. You can never go wrong with a sky pool! 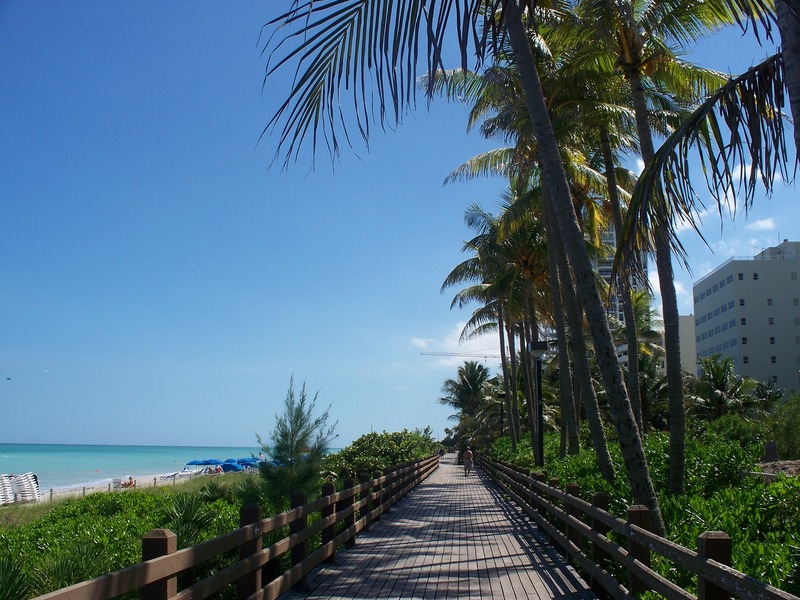 As crazy as Miami can me, your pictures make it look really beautiful – especially the beach and the boardwalk look very relaxing and serene. Looks like sweet digs that you had as well! This place looks great, awesome photos! My only experience in Miami was for less than 24 hours. We stayed in South Beach and it was so cool! Filled with lots of crazy people though! The pool, the cocktails, the boardwalk…. love it all! I’ve never thought much about going to Miami but it actually seems really cool. I didn’t realise it was so humid, but I probably should have given its proximity to Cuba. I was there this year and the humidity was crazy! 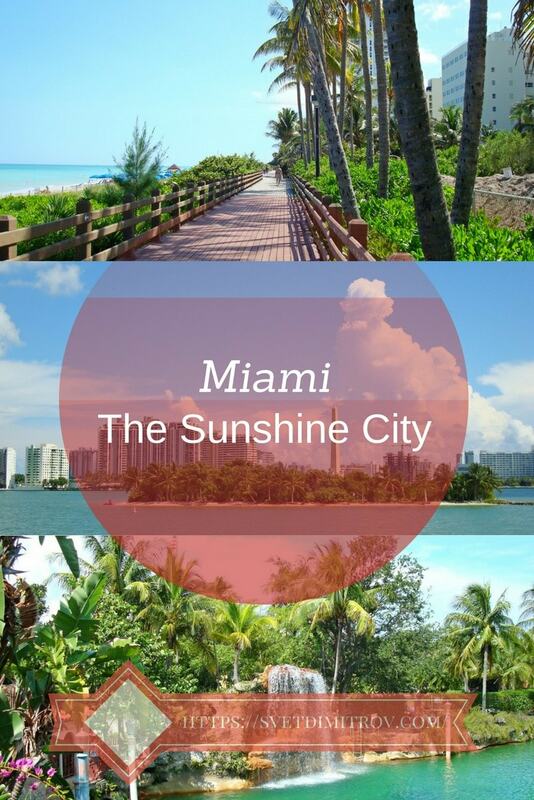 Lovely post, I hardly ever see Miami featured on travel blogs. Wonder why!? Yeah, everything is great in Miami save for the humidity! Thanks for reading and I am happy that you liked it! I have no idea really. It is in mentioned in myriads of songs, though, hehe. 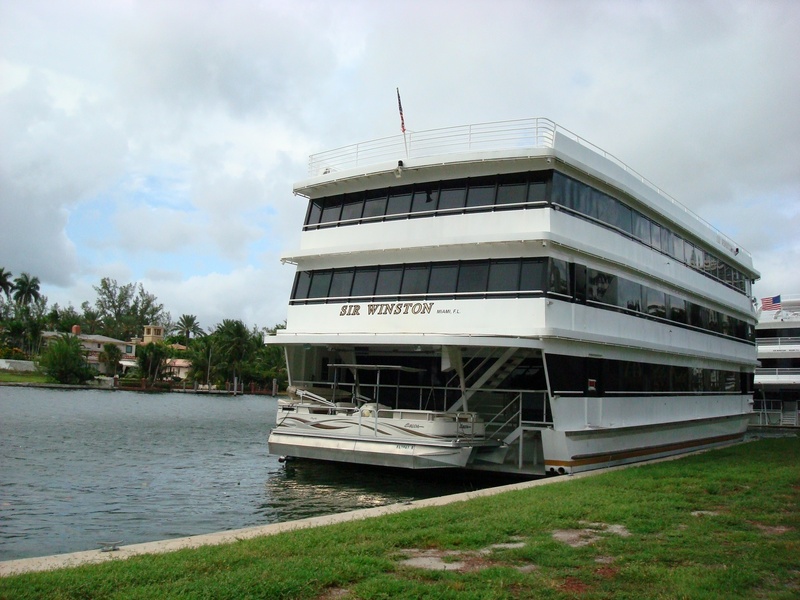 Well, we booked our hotel through Expedia two months in advance with the plane tickets (return ticket from NYC) + a boat and bus tour altogether for 450 USD (but this was in 2007). That was quite the deal, but we were in low-season. Eating out in restaurants could be a little expensive. Two days ago, I was talking to a friend who has also been there and he told me that cocktails during the day are, for instance, 30 USD, while at night – 80 (this is for 33 ounces or 1 litre). So, it very well depends on planning, staying, etc. Hehe, it is indeed a very colourful place! 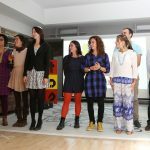 Fabulous post and photos! Strangely, I’ve never been interested in visiting Miami, but these amazing vistas and descriptions made me change my mind. Love the blue of the ocean and the sky. Thank you very much, Rossi! I am very happy that I sparked your interest. It is a great place, full of lush greenery and warm blue ocean! Hehe, I wanted to post a link, but your site did not allow me to.. Miami is an amazing city and yeah sizzling sun all the time, but beware, Sunshine City, Hung is coming for ya! This is what we do: we buy that $50 million dollars house and have amazing parties. You in? I am all in! Let’s do it! It was really unforgettable a journey to the Sunshine City, Priti! The hotel was out of this planet. And we got it for $100 per night – can you believe that? So lucky! Beautiful pictures. I have a trip to Miami coming up in august, so i’ve been scouring the web for different places to go. That picture you took on the water of the sky scrapers is absolutely gorgeous. Hey, Derick, thanks so much! I am very happy you found my blog post on Miami and that it helped you. I also love that shot! Let me know if I could help you further!